Users can see details of planes flying in our area and ID noise offenders. A new computer program available on the Internet allows residents near Jacksonville airports to track flight patterns of airplanes and lodge complaints if those aircraft fly too low and are too noisy. 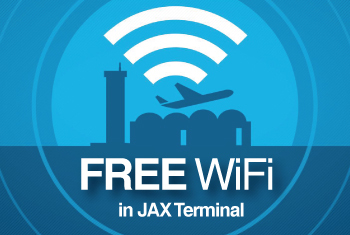 The Jacksonville Aviation Authority officially launched the WebTrak system Monday on its website at www.flyjaxex.com. 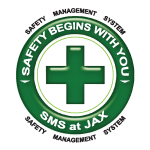 The system not only tracks flight patterns of airplanes, but also provides altitude and speed data for aircraft that approach, depart and pass all four Jacksonville airports — International, Cecil, Executive at Craig and Herlong. Military and law enforcement aircraft are exempt from having data on those planes from being posted on the public tracking system, which cost $550,000 and was paid for with funds from the JAA capital budget. WebTrak system is drawing particular attention from areas surrounding Craig airport, where many residents have complained for years that aircraft noise is too excessive. That’s also a fundamental reason those residents have argued against JAA proposals to extend runways at Craig. The WebTrak system allows residents to enter noise complaints on the Internet site that provides the tracking system. In addition, residents will still be able to call Craig Airport’s noise abatement line at (904) 641-3606 to report a complaint. Beverly Garvin is a member of the Craig citizens advisory committee and said she sees some value to the new reporting system. “It’s a great tool for people who like to use technology,” said Garvin, though she acknowledged the system won’t solve the noise issue. A key to the tracking system is that it will indicate what kind of planes are making the most noise. For residents near Craig, Garvin said that’s key because if the airport keeps the same runway length, there won’t be larger — and noisier — planes using the facility. Jacksonville City Councilman Bill Bishop, who represents Arlington and the area surrounding Craig, said he sees the same kind of benefits. He’s just not sure if it can cause real change in noise patterns around any airport. “I honestly don’t know and we’ll have to find out the whole purpose of this” and what change it will bring in noise patterns, he said. But “up until now, it’s been very difficult to figure out which planes are causing noise and which ones are not,” Bishop said. It’s that data officials can use if complaints are filed to track down pilots of airplanes to inform them they’ve been creating excessive noise. “If somebody is flying in an inappropriate manner or not following procedures, then they can find out who it is,” Bishop said. Gillem also acknowledged that there’s no guarantee the WebTrak system assures quiet skies over residential neighborhoods. But airport officials can bring noise to the attention of pilots.